After my last misadventure soldering components to make a trip timer, I picked myself up, dusted myself off and ordered the proper tools required to finish the project. 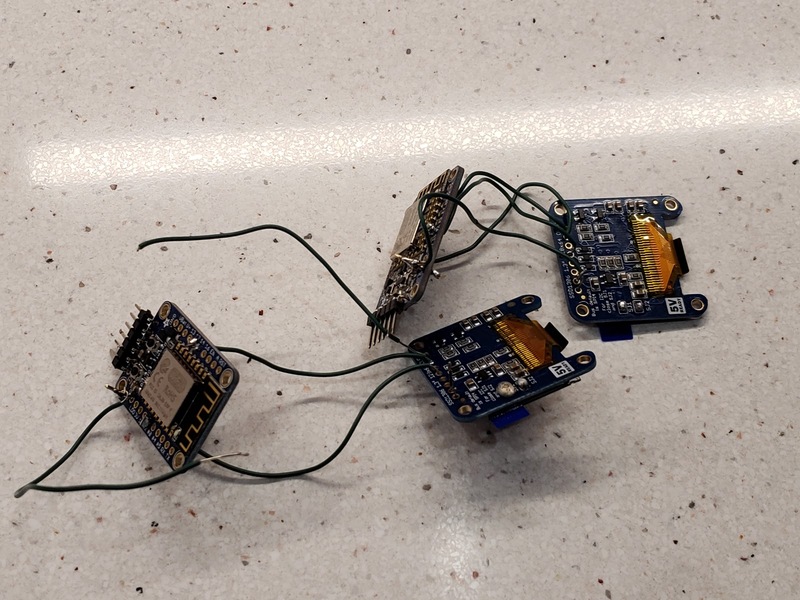 A few days later, I plugged in my new soldering iron and went to work carefully building the hardware. It wasn't long before I had to waive the white flag again. 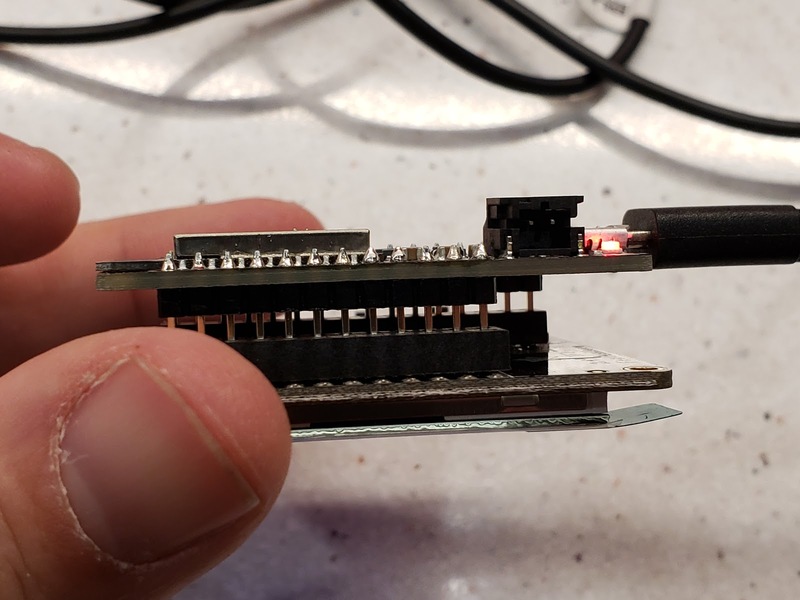 True, the tools I ordered from Adafruit were far more precise, but I was still producing sloppy soldering joints, and the project was quickly sliding downhill. I'm sure most of this is due to lack of practice, though I wonder if a different soldering iron tip or wire could have improved matters. 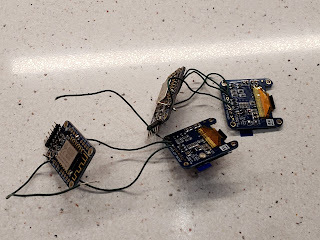 Needless to say I was annoyed and disappointed that I couldn't pull off the seemingly simple task of soldering a dozen or so connections. Ugh. 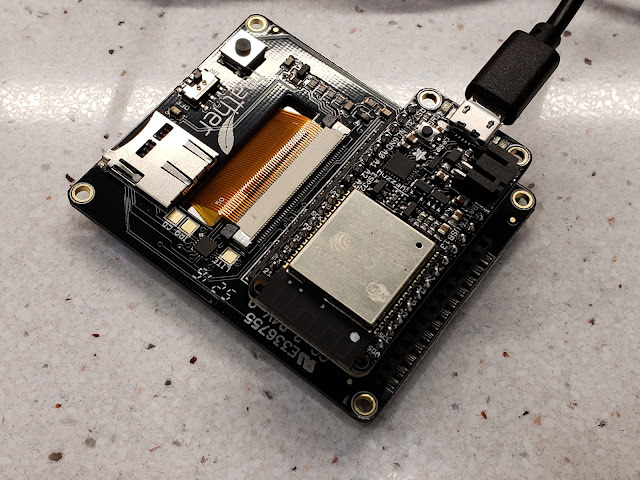 After stepping away from the project for 24 hours, I returned to Adafruit.com to do further research. It was there that I discovered my new favorite word: Assembled. As in, Assembled Adafruit Feather HUZZAH with ESP8266 With Headers. For a few bucks extra I could buy a board similar to what I had been working with, but with the pins soldered in place. 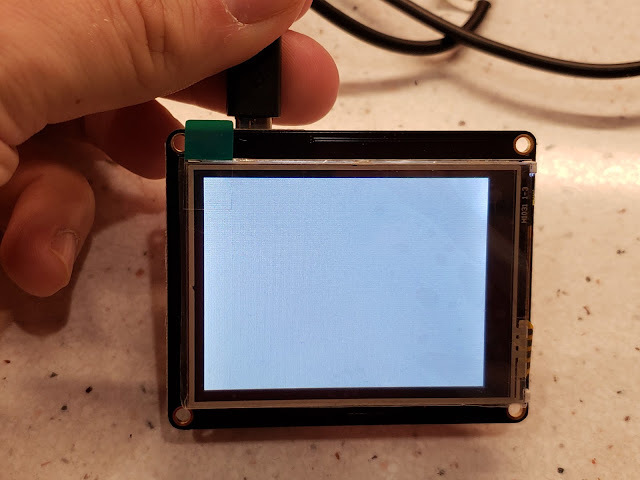 Looking in the screen section of Adafruit's site, I found the TFT Featherwing 2.4" 320x240 display. It too was "fully assembled!" I smiled at my good fortune of discovering these new components, and eagerly checked out. When the box showed up at my doorstep, I tore into it and carefully took out the chip and screen. 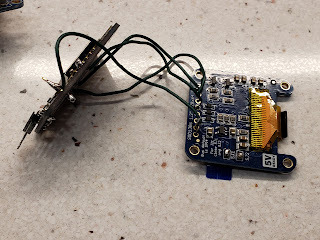 I lined the pins of the chip up with the socket on the screen and gently pressed. Just like that, I had successfully assembled the hardware. Whooo! Aren't those components beautiful? Now I just need to program them, a task I'm eagerly looking forward to. One of these days I'll learn the whole soldering thing. When I do, I'll gain access to a wider variety, and cheaper set of hardware options. But for now, I'm excited to put my 'assembled' hardware to good use.